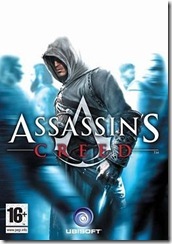 It has been the most awaited game of the year – Ubisoft’s “Assassin’s Creed”. The official plot deals about a member of the legendary assassins, an organization of … eh, yeah… assassins. Your mission as player is to kill nine different persons because they destabilize the peace of the hole Middle East with their actions. So far, so political correct. The historical assassins had been a bunch of fanatical and ideological blinded killers who dreamt of establishing a strict theocracy (think of Iran). This sounds very familiar with what islamic terrorists are doing these days, doesn’t it? What about escaping after the kill? Not historical. Assassins didn’t run away – they accepted their death and now you know where the modern suicide assassin is descendent from. This is of course only a game, but with an interesting setup. OMG, Assassin’s Creed is not historically correct! psst..hey. read the disclaimer again. I think you missed something. If I’m not mistaken it does say FICTIONAL!! The two before me have nailed home the point that the game is not historically correct or even based on real incidents (comparisons to reputed assassinations during that time aside) so I’ll take a different route. By changing the time, scenery, armament, and missions, you change essentially EVERTHING about the game. Take the same idea and apply it to the civil war era and you have a training game for the Lincoln assassination. Take it to the 60s and it’s the Kennedy assassination. 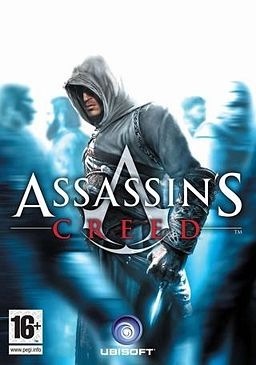 The fact is, comparing something like Assassin’s Creed to the terrorist activities of today by changing everything about the game to make it fit the world of today doesn’t really make sense. Jens, I think you may be a little confused. Assassins did not hang around to die. They killed and crept away, in order to accept their next job and kill again. You appear to be confusing assassins with suicide killers, or bombers. Those who attack with the express intent of dying whilst taking as many of the “enemy” with them as possible. Assassins, like most professionals, were respected (though not liked) and feared. They received recompense for their work. Why would they kill themselves in the process? There is not profit in that. Lindsay, you may check your sources. Many assassins in fact died, because they only could do their job in expense of their own life. Often the target person couldn’t be catched unguarded; your only chance was a stab out of nowhere in fully knowlegde of the deadly consequences. So there is no clear distinction possible between an assassin and a suicide killer. But of course they didn’t kill themselves. If they got away healthy, the better. But no guarantee for that. And they knew it.